Harpist Jill Pitz is available to play a variety of events including weddings, receptions, rehearsal dinners, corporate events and parties. Harp adds the ultimate in elegance to any event. Jill can provide you with ensembles of various sizes from solo harp to her harp/cello duo, "Encore" or her harp/violin/cello trio, "Trio Vivo". 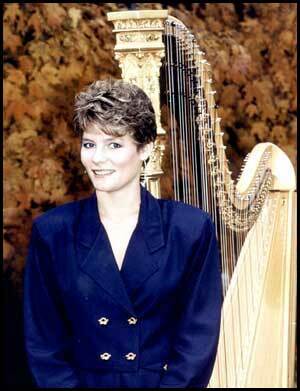 Jill is a renowned harpist with a Master's degree in music performance from Indiana University. She has toured extensively with orchestras, Star performers and Broadway shows. Jill is currently active as a freelance performer with orchestras, Broadway shows, studio recordings, Star acts and teaching.